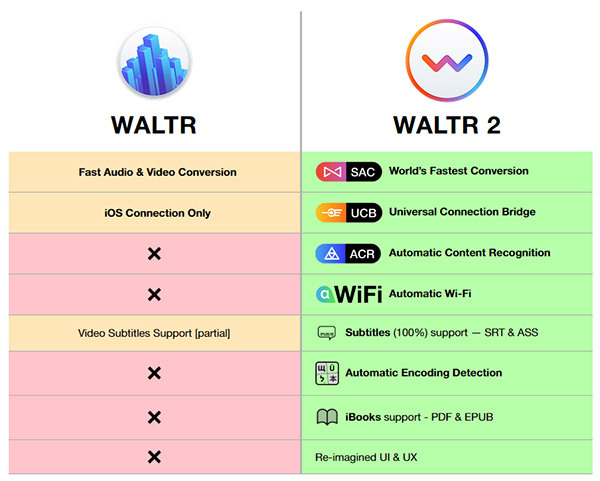 You may remember that couple of years back we told you about an app called WALTR, which made it easier to transfer any video or audio file to an iOS device and have it be playable. It was a great app for those that need to move media around without having to use iTunes and without having to jailbreak, and with the release of WALTR 2, the folks at Softorino have really upped their game. 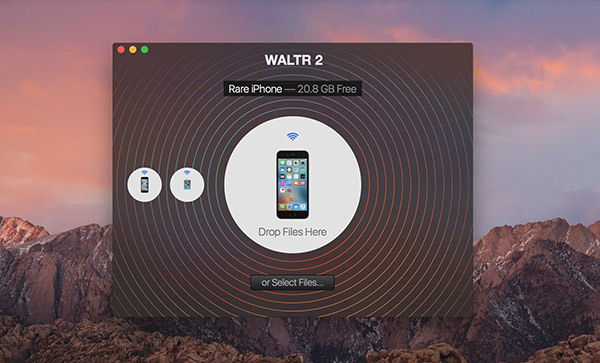 Available for both Windows and Mac, WALTR 2 allows the transferring of video and audio files as before, but things have really been ratcheted up by adding support for wireless transfers, additional file types and non-iOS devices (over 20 legacy iPods). That means that with WALTR 2 installed, users can connect their device – iPhones, iPads and iPods are supported – and transfer ringtones, videos, PDF & ePUB files, and of course, audio files across for consuming even if the receiving device does not natively support them. That right there is the magic of WALTR brought to all types of file thanks to WALTR 2. WALTR 2 doesn’t just take files and move them, though. With automatic metadata construction, users could throw music files at their iPhone and have them correctly tagged, ready to be picked up by Apple Music, for example. Or perhaps a video file with the correct title etc. already assigned with no action needed on the part of the user. Those who find themselves moving files regularly will love that aspect of WALTR 2 almost as much as the newly added support for WiFi transfers. No need to dig that cable out just to copy a video across to an iPhone. WALTR 2 can be downloaded now, and is available as a free trial with a lifetime license costing $39.95. Owners of a WALTR licence can take advantage of the $19.95 upgrade pricing, too. To purchase or upgrade to the new app, head on over to softorino.com/store/w2. In case you need a little more convincing, here’s a nice overview of what’s new in the upgrade. Check out the video below for a fun introduction to the software. Why is he talking like this? Is he drunk and wearing red lipstick? Does it work with macbooks which aren’t capable of AirDrop? IMHO, Dev should give option to skip that..
Idk what’s your problem, Gobol. Video’s up to the point and informative. And not as boring as other videos about software. I personally don’t have a problem with him, i just couldn’t concentrate on the app he was talking about because of the way he talks.. Slowwwly. It doesn’t feel genuine or interesting (to me). Can’t you just plug your device into your computer and copy files directly to the device? Not without iTunes or some shady 3rd party application. yes … your missing it all … could you name any app that is capable of the things WALTR can do? Check your SPAM folder. I send twice, 1 will be MEGA invitation because I share folder with you. Other is just link directly to that folder. hi, can you also send me the link? adammantuum@gmail.com Thank you!! !